I shouldn’t still be thinking about our new roof. The roofers finished replacing our old roof more than three weeks ago, not long after we wound up our fraught dealings with Wooden Window. You'd have thought we'd have had enough homeowner trauma for the time being, that we'd be content to stare out of our new windows at the San Francisco skyline, that we could continue to ignore the paint slowly peeling off the wall in big sheets where the roof leaks during the rainy season. It's not apt to rain again until November; why bother replacing the roof? Didn't we learn anything from our experience with the windows? But no. We're slow learners. We ran right out and found a roofing company that would replace the roof right away. This wouldn't be nearly so disruptive as the window work; all we had to do was move a dozen or so potted plants off the lightwell (which is technically part of the roof) and that'd be it. "Will they be coming in to use the bathroom," I asked the roofer after we'd received the final bid and were signing the contract. "Oh, no," he said. "They're like camels." I decided to pursue the question no further. For a week, we lived in a drum, with camel-like roofers clattering over our heads and the acrid smell of tar in the air. Friday afternoon rolled around and they were done; they offered to help me move the potted plants back into the lightwell, but I demurred. They were anxious to leave and I was anxious to have the house back. I was pleased with the new roof for an interval of about 4 hours. For four hours, I lived with the blissful thought that we were done with the roof. Done. Checked off the list. Four hours was the length of time between the departure of roofers Carlos and Orlando and the arrival of Mark. It was an exceptionally brief bout of euphoria. It was dark when Mark got home. He peered out the kitchen window into the lightwell. “Did they tell you they were done?” Mark asked me. I knew trouble was brewing. I told him that—yes—they were definitely done, and that in fact they stayed longer than they thought they would have to, and were bummed to be joining Friday afternoon Bay Bridge traffic. I told him that I didn’t know, because in truth I avoided looking out the window at the workmen, even when I was in the kitchen a few feet away from where they were spading globs of wet stucco onto the metal netting. It’s too weird watching someone through a window at that distance; it’s like you’re looking into a goldfish bowl. And the goldfish are REALLY BIG. And they’re eating sunflower seeds. And talking and laughing. But I knew where the “who’s they” line of questioning was going, and it wasn’t good. “I can’t believe you were standing in the kitchen and you don’t know who did the stucco.” Mark said. I don’t want to say that he said this accusingly. But he did. He said it accusingly. And I felt appropriately chastised: guilty as charged. Even though I wasn’t sure who worked on the stucco, I was reasonably sure that the roofing guys did the stucco themselves, that the special super-duper stucco specialist had not been called in to complete the job. 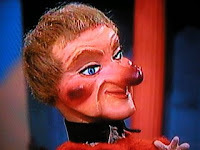 We had been promised the super-duper stucco guy, and like Lady Elaine Fairchild, the stucco-man had turned out to be part of the Land of Make Believe. Yes, ladies and gentlemen of the jury, I knew in my heart of hearts that Carlos and Orlando did the stucco. And that “Carlos and Orlando” was not the right answer to Mark’s stucco question. Stucco, as it turns out, is not so simple to do. Lots of people think they know how to stucco a house, to smooth it and create a texture so it blends with the rest of the wall. So that it sticks to places where it’s supposed to and doesn’t sag at the bottom or stick out at the edges. I think it’s safe to say that stucco is an art. It’s about as difficult to do an aesthetic stucco job as it is to get 6-pack abs. Our stucco, unfortunately, looked flabby, out-of-shape. And its complexion didn’t look so hot either. The edges were ragged and messy. It looked bad, and although I didn’t say anything, I also knew that the only way to fix it was to knock it all out and do it again. All over again. Stucco is an art AND a science. And as nice and careful and competent as Carlos and Orlando were, they were not stucco guys. So Mark is not the only one; he has company. I have enormous respect for Danette. She works for NASA; I think she might even be an astronaut. And if she says that bad stucco is destroying America, I will take her at her word. I think I’ve mentioned my other houseplants before. I’m sure I have. What’d I put the count at, 37? Something like that. There may even be more; I try not to maintain an accurate count. Since the lightwell is the view out the kitchen window—and since I stare out the kitchen window while I’m doing the dishes—before we had the roof done, the lightwell was home to even more houseplants. I thought it’d be nice to stare out at the hardier of my houseplants when I looked out the window. Those hardy houseplants were not counted as part of the 37. Carlos and Orlando moved some of them, the giant pots of mint and horsetails and the giant fern, out to the back of the house. I hesitate to tell you what I did with the others, the 5 pots of succulents, the 2 cymbidiums, the large, top-heavy cactus, the date palm, the sago palm, a Lyman fern, a small pot of horsetails, and a smallish pot of great spiral rushes (aka “curly grass”). They all looked pretty healthy and happy (except the ragged spots where something had evidently tried to eat them). So… I brought them into the house. Thirteen more houseplants. Mark covered the guest room floor downstairs with a big sheet of plastic that the window guys had left behind. Although I didn’t really have any place to put them, thirteen more houseplants didn’t exactly seem problematic. Ah, what’s a dozen or so more houseplants anyway? I’m not sure how those slugs got up onto the roof. How would a slug get onto the roof? How could a slug get onto the roof? Are these special flying slugs? There are flying squirrels. There are flying fish. There are flying cockroaches, even. Mammals, fish, hard-shelled invertebrates (inverts, as someone I know used to call them. Inverts). You see where I’m going with this. These are special, super-duper flying slugs. I didn’t know there were slugs living in the pots until I watered them. Around a week after I brought the plants inside, they commenced to look dry. Mighty dry. If we were going to wait until the stucco was redone—and I could tell we were—there was absolutely no sense in moving the plants back out onto the lightwell. And they weren’t going to stay alive unless I watered them before I put them back out there. So I poured a cupful of water on each of the succulents and on the palms and ferns and on the cymbidiums and on the pot of curly grass. “Drink up, guys,” I said. I convinced myself that they looked pleased and well-nourished. Beads of water sparkled where the succulents’ leaves converged into little cups. Water drained into the plastic catch-pans underneath the plants. “Lookin’ good,” I told the roomful of plants and gave them the thumbs-up as I left. The next time I went downstairs, I realized to my horror that there was a good reason why the cactus had scars and the cymbidium flowers looked so tattered. A REALLY GOOD REASON. “Ewwwww!” I said, perhaps louder than was necessary. “Ewwwww!” But was involuntary. Should I have bought the slugs some kind of Ghillie suits? You know, just for aesthetic reasons. Kind of like the stucco—they might look better. 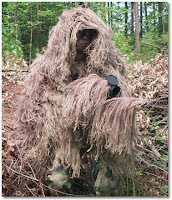 For those of you unfamiliar with this type of outdoor wear, a Ghillie suit is an outer garment that Jon Foote alerted me to not long ago—it’s kind of like wearing bad shag carpeting or rolling in pond scum. It’s something that hunters wear to amuse their prey to death. No kidding. The forest animals literally laugh themselves to death. If I put little Ghillie suits on the slugs, they’d at least be cuddly. They’d still be a nuisance, but they’d be more like squirrels, and less like slimy inverts. I couldn’t bear to just squish them. I’ve never been very good at squashing insects. Even when our apartment in Pasadena was overrun by giant cockroaches, I couldn’t squish ‘em. 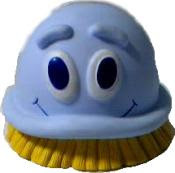 The best I could manage was to dissolve one using Dow Bathroom Cleaner with Scrubbing Bubbles. If you spray that napalm-like cleaning product on a cockroach, it turns the bug into a brown puddle, which can then be swept down the drain with a blast of water. I know it might be inadvertently interpreted as Buddhist, but I just can’t spray chemicals on bugs any more. So what should I do with the infestation of slugs? Believe it or not, we’ve had an indoor slug infestation before. When we lived in Mountain View, in an apartment we lovingly referred to as “the cave”, slugs—big ones—would come in under the dishwasher during the night. You’d turn on the kitchen light, and instead of cockroaches scattering, a giant slick and slimy (fat and sassy) slug would continue its steady march across the kitchen, undeterred by the startling flood of fluorescent light (“Does this light make my complexion look bad?” I thought I heard one ask). In the morning, we’d find fresh slug trails sparkling across the brown shag carpeting and up the back of the couch. Thank god we hid the TV remote. That time, I dealt with the slugs with a determined course of benign neglect. That’s right: I just ignored them. Occasionally, I’d find a desiccated slug nestled in the carpeting, a victim of a bad sense of direction. But usually, they made it back out to wherever they were actually going without further notice. This time, benign neglect made less sense. And besides, our housecleaner just gave me a new cymbidium; its flowers were pristine and beautiful. I owed it to him to try to protect the cymbidium flowers from the mucusoid invaders. There were a lot of slugs. Not just two or three. A lot. Every time I saw some and donned a rubber glove to bring them outside, when I came back, there’d be a few more waiting for me. Technically, I don’t think they were actually waiting for me. They were just sliming across the giant sheet of plastic, doing important slug things. Things I really wouldn’t understand. They were on the march. Going somewhere with a great sense of purpose, slug-antennae outstretched. Were they going to the movies? Trying to find a wireless connection? Looking for 4 bars of connectivity on their slug cell phones? Doing slug aerobics? Who knows why slugs do the things they do. All I knew is that I didn’t want them to do those things indoors. I wanted them to fly back to the roof. Be gone, slugs! Fly away, fly away home! Get on the Google bus and join your slug counterparts in our old apartment in Mountain View! Just forgodssakes don’t stay here. 13+37=50. Thirteen lightwell plants plus 37 indoor plants. That’d be 50 plants. 50! Fifty plants are enough that I thought nothing of adopting Margaret’s plants last week so I could take care of them on this side of the bay while she was out-of-town. Houseplants are kind of like kittens. If you have enough of them, they’ll entertain each other; you can let your Netflix subscription lapse and they won’t even mind. So I went to Berkeley last Sunday night and picked up about a dozen more houseplants. A miniature ficus tree. A Christmas cactus. A cluster of epiphytes, several in bloom. More cymbidiums. A philodendron-ish plant. And several rather large and healthy-looking cacti. Note to self: Why do you wear gloves to pick up slugs and not to pick up cacti? Why? I drove across the Bay Bridge late Sunday night, the back of my car full of plants, and the back of my hand full of tiny, painful cactus spines. Cacti with big fierce spines are almost safer than those innocent furry-looking cacti that leave you with a carpet of pain when you brush up against them. At least my mouth wasn’t full of the taboo frisson of raw pork, as it was during another recent drive across the bridge. While I don’t have 70 houseplants yet, I’m close. What I’m thinking is I should teach them—or the slugs, or perhaps even the cat—how to stucco. I know it’s hard, but it seems like a skill that’s worthwhile cultivating. Local expertise. Because frankly, I feel guilty about fussing to the roofer about the stucco, even though I know that we’re perfectly within our rights to do so. The other day, our roofer—a soft-spoken guy named David—came out to talk about the job. Can he really not see it? I start feeling silly. Is this a trick, or is he really not seeing that the new stucco is as lumpy as oatmeal where it meets the old stucco? After all, I didn’t notice the problem myself for those four pleasant hours between the workmen’s departure and Mark’s scrutiny, although I was trying not to look. “Um. You know. It doesn’t blend. We’re afraid that when we paint it, it will look even worse.” I am bluffing, but I do now see how the edge is wrong. We had other stucco work done recently, and I know what it should look like. Besides, over the last few weeks, the stucco has cracked in several places, and has begun to look like the Wilkins ice shelf under the effects of global warming. And I have had a chance to get a good close look at the job; it is at least inelegant if not wholly unacceptable. I’ve come around to Mark’s dissatisfaction, although not his anger. Still I feel sheepish. I tell David, “Let’s go out there and look, okay?” I don’t know why I’ve suggested this—if it’s something you can only see up close, it certainly doesn’t argue for a re-do. I can see what there is to see from where we are standing, at the kitchen window. Yet we crawl out the kitchen window onto the lightwell, both of us. I run my hands over the edge of the offending stucco. “See?” I ask David. “I’m afraid I don’t,” he tells me. I try to rationalize this. Perhaps roofers are so used to working outside of aesthetic concerns that they don’t notice anomalies in the stucco work: after all, who goes poking around up on their roof to see if it all looks nice? What you’re supposed to care about is function: does the roof keep the wet stuff (rain and flying slugs) out and dry stuff (the furniture and Toto) in? And I saw the lightwell before they re-stuccoed. It looked like a giant tar bathtub, which is just how you’d want it to look. Does he really not see it? I think he doesn’t. The magic stucco guy! I’m completely mollified, although Mark is still too angry to participate. “He doesn’t see it?” Mark rages. “He doesn’t see it? How can he not see it?” And he goes on to tell me that he thinks David might be putting me on, that he must see it. That he’s just trying to manipulate me into accepting the substandard job. I’m convinced he doesn’t see it, Pollyanna that I am. And I’m convinced that slugs fly and that somewhere in America, people go hunting dressed up like giant moss bogs. David grimaces, but maintains professional cool. I almost wish Mark were out there with us; I’m sure he would applaud. 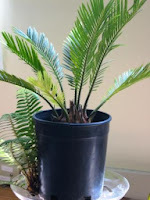 But he is still hiding in the guest room, amid the jungle of houseplants, native and temporary, with the few slugs who have been successful in taking cover. Even after a several-week cooling off period, he is afraid his anger will erupt in an unseemly outburst. I sigh in relief. Even though it means another day of noise, Mark will be happy and I will be through with these awkward explanations. And sometime, in the far distant future, the lightwell will be re-stuccoed and repainted and I will be able to put a dozen stray houseplants out there, leftover slugs and all. Thank god roofs last for 20 years. You don't have enough comments on your blog. The sad truth is, I don't. It makes me feel terribly lonely. Then again, slugs can't type. I'm sure there are lots of slugs reading this post. Avidly. They're avidly reading this post. Wearing their ghillie suits and dimestore reading glasses, poring over my blog. Legions of slugs. Slugs: you know who you are. Leave audio comments. I loved your blog; very well written and entertaining. I am about to embark on a stucco and windows and roof project myself so this is of particular interest to me. I loved your blog; very entertaining. Chin up. There are lots of lurkers out there. Jonathan, your last name says it all. Your blog is great - so well written, I enjoy it. There - that's a comment! Also I used to live in San Francisco, had slugs in my yard, and grow lots of cactus. I know what you mean about the tiny tiny prickers that you can't see (let alone get out) but can feel. And the slugs? My solution? Flush them down the toilet. That way no one gets hurt.